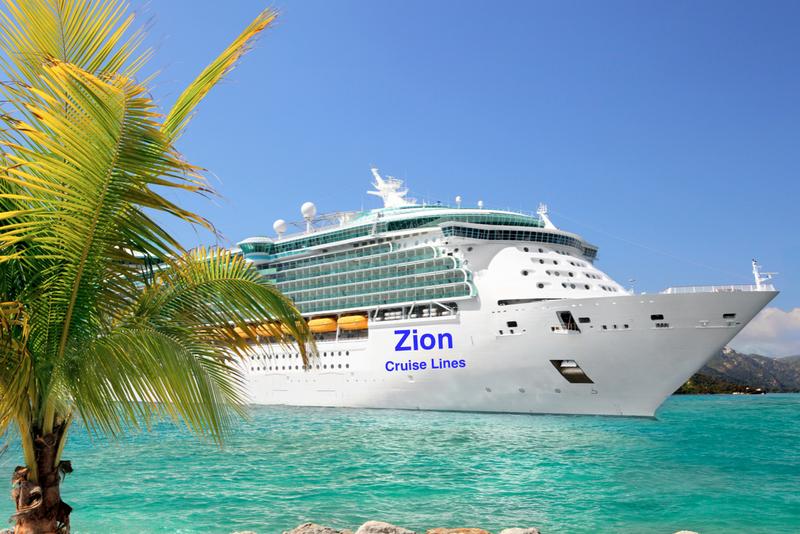 To The Remnant: Straying on the "Old Ship Zion"
Your excellent analogy brought to life one of the most questionable talks I've ever heard at a General Conference. Thank you for taking the time to put this together, and thank you for sharing your talent. Staying on the LDS Ship is like staying on the Titanic. It may look all glorious & wonderful to many who don't understand or live Christ's teachings, but it's heading in the wrong direction, because it does not really follow Christ's commandments, despite it's claims. The Church's pride in thinking that it can never be wrong or never sink, is exactly why it will. My friend, your posts keep coming up better and better. I don't like flattery, and I know you don't either, so let us give the credit to the Lord, to whom I thank for your blog. Keep rolling that Spirit that is being transformed into words and inspiration for many! Very good article. I had never heard or read W. W. Phelps dream before. Very interesting! Thank you so much! I only recently heard of it as well. This was one of four recorded dreams Joseph had in the days leading up to his death. Yeah, this is flattery, I'm sorry. This is your finest piece to date. I thank you for your good story, and your insightful thoughts. Its very hard listening to all the pride and darkness that is preached for doctrine in the church, as it happens in every class. Though I will not be attending the Gathering in May, I do hope to see you. We have a mutual friend that wants to meet with you, and I will have to see you that way, if the Lord wills it. I came to this area (Grand Mesa) several years ago, and I though I was done with much of the Church then, but I was wrong. Seems the Lord has a interesting sense of humor, I will leave it at that. Regardless, I have come to Love very deeply the people here, and though I know I can not save them all, I am hanging out still to ensure that many will have the chance to know the Lord. I have many friends that have left the church, Yet for now I know I am called to stay where I am to continue to labor with those dear souls I call my friends and ward members. Some are flat our a pain, and a few will likely never see the Truth, but there are may that have seen the truth because of our efforts, and there is yet many through out the ward that still have chances to know the Lord due to the Love and Charity they have in their hearts. This is my feelings. I have been called of God to labor here in This Land for Christ, and will do all that I can to protect and bring souls to my Savior Jesus Christ. Keep up your good work you are doing, but remember that we all have different missions and leaving the Ship is first and foremost about turning to the Lord in our Hearts, and trusting Him. He may ask us to stay on the ship as it sinks to save souls that are precious to Him before we are called to “abandon ship”, or He may ask us to resign, speak out, etc. Walking on water means different things to different people. Thank you for your thoughts. I agree the most important thing is turning our hearts to the Lord, then doing whatever He asks of us. God bless you in your ministry, brother. I have a good friend who back in the early part of 2010 had a dream. Here it is in his own words. "I was on a cruise ship, on the ocean with my family. The captain of the ship approached me and stated that it was time for me and my family to leave the ship. I questioned him if we had done something wrong? He stated, to the contrary. It is for what you have done right that you have been selected to leave. There was a sense of great joy; a joy I had not felt for a while. .....I took the matter up to God in prayer on my holy and sacred spot within my home.....He then stated the words that have been seared into the very fiber of my eternal soul, "Thou art my son! I will exalt thee! I am thy God! On this day I have begotten thee!" It would appear that a ship and whether we stay on it or not, has figured prominently is many lives. Another really good example is Jonah. Great insight, Keith. Thank you for sharing this! “Keep the eyes of the mission on the leaders of the Church. … We will not and indeed we cannot lead [you] astray." There is no scriptural basis for such a teaching and in fact it goes against any scriptures I can find on the topic. This is blatant false doctrine and I marvel at the arrogance that is shown by such a quote. Yes, past church presidents and apostles can and did make mistakes and we refute much of what they taught, but don't worry, that was then, and this is now, and we cannot lead you astray, trust us. Interested people should read the original "Good Ship Zion" talk by Brigham Young. It has exactly the opposite message conveyed by Elder Ballard. Most notable is that Brigham specifically prophesies that those who notice that the ship is off course "are certainly not in an enviable position. If they say much they shall be cast overboard by the strong-armed porters to be left adrift as the ship is powered on its way with no one on board able to assist or succor them lest they also find themselves expelled. If they say nothing and with the shared confidence of their fellow passengers continue aboard, each will find themselves further from the Port, and if persisted long enough the moment of action will long have passed." Brigham's prophesy has sadly been verified many times over in this day and age. The point of his talk was that each member had to have their OWN COMPASS and might be compelled at any time to jump off the ship and paddle to Zion or risk winding up following the crowd to Babylon. Incredibly ironic that this talk was used in the way that it was by Elder Ballard, whom I regard as a good, even great man, but who seems to have misquoted Brigham this time. I considered pointing to that talk, but unfortunately, it is apocryphal. There is no proof that Brigham Young ever gave this particular talk, and the Journal of Discoursed reference is invalid. Nobody knows where that particular talk came from. Brigham did make other references to the Old Ship Zion, but this talk does not appear to be one of them. Yeah, after posting I noted the same thing. The passage is pretty detailed to be a complete fake, however. I am wondering who actually said it and when. If I find out, I will pass the information along . . . Very nicely written, Adrian. 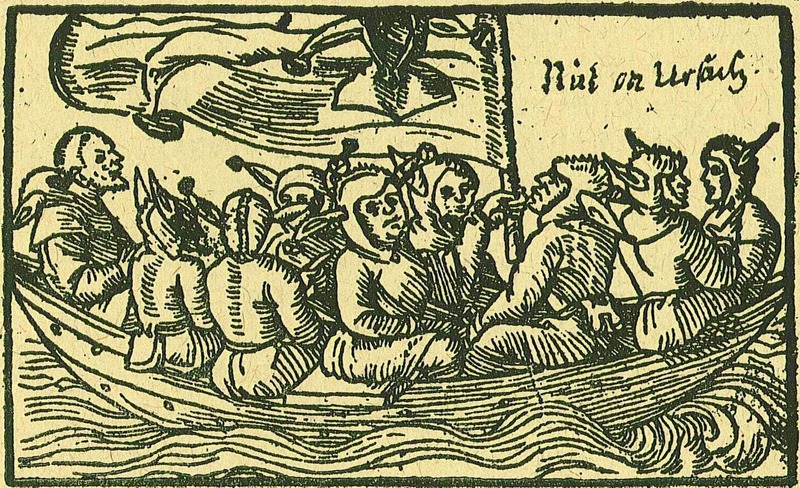 I particularly like the analogy to Plato's ship of fools. 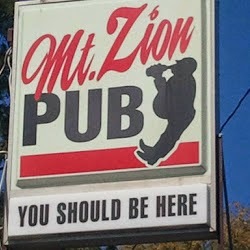 Also noteworthy is that wonderful sign for Mt Zion's pub, illustrating a man swigging some substance that is making him bloated and keeping him off-balance, and echoing Russell Ballard's counsel that "You Should Be Here." I'm sharing this post on Facebook, and hope others will do as well. It deserves to be widely read. This is being used as a rationale for many people recently to jump ship on their families, yet although I have a family member who is and always has been filled with hot coals of resentment, be it known that I will never give up on them. Personally, I think the promises in 3 Nephi 12/Matthew 5 seem more like things fulfilled in the future (otherwise, the meek would already own/inherit the earth--which they certainly don't now, unless it's in some kind of metaphorical sense). Also, it's given in the future tense. I recognize, though, that this promise can be fulfilled in mortality also (see earlier in Section 97, in verse 16). In any case, I agree with the rest of your article. Also, if there was an error on your part, the Airplane reference makes up for it, LOL! mtman318, Thanks for commenting. I'm glad you recognize the promise of meeting the Lord face to face can and should happen in this life. There are plenty of scriptural examples, as well as the teachings of those who have had the experience. Thanks for catching the Airplane reference. I gotta have a little fun!